Better Shadows Detail / Highlight separation in Gelatin Silver Prints – Potassium Bromide. Recently, I was asked if some tiny things could be done to adjust sharpness, increase highlight/shadow development, change grain size by fiddling with the chemistry that’s going inside the bottle while developing. More specifically, the effects of adding Potassium Bromide (KBr) and and whether you might end up with some crispier images with bigger grain. The answer to all the above questions is Yes. But in this post we will specifically talk about the KBr. 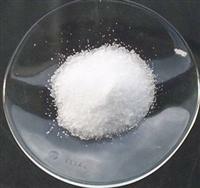 Potassium Bromide (KBr) is a restrainer. As explained elsewhere, any film developer has four components : Developing Agent, Accelerator/Alkali, Preservative and Restrainer. The job of the restrainer is to prevent the development of grains that received no light (or very little light). So, if you are getting excessive fog in the negative (i.e. the unexposed parts of the neg do not look completely transparent) then you add KBr. Same thing for printing. If your print highlights are looking dull and murky (and you have already tried reducing exposure and changing paper grades), then add KBr. Amount of potassium bromide added depends on developer used, temperature, severity of fog, film/paper used etc etc. 0.5g -1g / litre of working solution is a good starting point. Adjust upwards/downwards from there. KBr also makes the tone of the paper warmer. If this is undesirable, then one can use another restrainer such as Benzotriazole, which makes the images cooler. I have not seen any appreciable change in grain by addition of KBr. Since it minimizes unwanted development, my guess would be that it should decrease grain size but I haven’t really seen it affect the grain at the concentrations we normally use. Since KBr affects the toe (lower part) of the film/paper curve, adding the restrainer usually reduces the speed of the emulsion. For paper, this is not an issue as long as you add reasonable amounts. Eventually, KBr will stop ALL development. But in small quantities, it gives much crisper highlights with increase highlight separation. With film, it will open up the shadows a little (increase local contrast in the shadow region) but reduce the film speed at the same time. So for low pH solvent developers like D76, adding KBr is not the best option for increasing shadow detail. A better thing to do is dilute the developer 1:3 (instead of the standard 1:1) and develop for 50% longer than your standard time, agitating every 3 minutes instead of every minute. Due to the minimal agitation and lower concentration of the developer, the overall contrast does not go up very fast – the highlights remain in the desired density range even after increasing the development time by 50%. This gives the low density regions a much longer time to develop, resulting in better shadow detail (can think of it as a mild increase in film speed). It will increase the grain slightly, but not noticeable up to 12x enlargements.